Jan. 15, 2019 - Since last Friday, when the U.S. secretary of state Mike Pompeo announced a ministerial summit on peace and security in the Middle East, a flurry of condemnations and warnings are coming out of Tehran. On the same day, Heshmatollah Falahatpisheh, chairman of the National Security and Foreign Policy Commission of the Iranian Parliament, described the summit as “psychological warfare”. This summit “can turn into a losing battle for the U.S.” he said, while simultaneously asking for a “decisive response” to Poland. But yesterday the Iranian foreign policy establishment took the whole game to a new level and while still refraining from escalating the issue into an EU-Islamic Republic confrontation, it nonetheless stepped into unknown territories. “In response to hosting the hypocrites [Iranian regime’s official term for the PMOI/MEK] by Poland, Bahram Qassemi, spokesperson for the foreign ministry, said: ‘There is no doubt that the Islamic Republic of Iran’s response to this act will be very serious and without any appeasement and considerations,’” Young Journalist Club reported. “Poland must be held responsible for the consequences of this hosting and accept the responsibility for the outcome of participating and hosting a summit against an independent country, unless the Polish government eventually makes a wise move and changes the direction of this summit to something different than what it mentioned in its invitations,” Young Journalist Club quoted Bahram Ghassemi. The amount of warning and threat in Ghassemi’s language is unusual in diplomatic parlance and makes one more curious about the text in the Polish invitations.  But there is a far more important message in how the report was put together by the YJC: The Iranian theocracy’s fear of its organized alternative, the PMOI. By equaling a summit that officially aims at peace and security in the Middle East and containing the Iranian regime’s malevolent influence in the region to hosting the PMOI, the news agency, close to Khamenei’s faction, is clearly pointing at its undeniable redline. In other words, there is nothing more fearsome to the Iranian theocracy than the existential threat that the PMOI/MEK poses to its rule. At the end of the day, the Iranian regime is able to handle all sorts of sanctions and foreign intervention through propaganda and the use of raw violence. But it can’t tolerate an opposition that threatens its ideology of radical Islam at the roots. The right response to four decades of Islamic terror around the world and particularly this very region is to embrace a tolerant interpretation of Islam represented by the National Council of Resistance of Iran’s president-elect Maryam Rajavi. It is up to world leaders to manifest the intellectual capacity and mental courage to recognize the Iranian opposition and put an end to this decades-long nightmare.